Hey everyone! 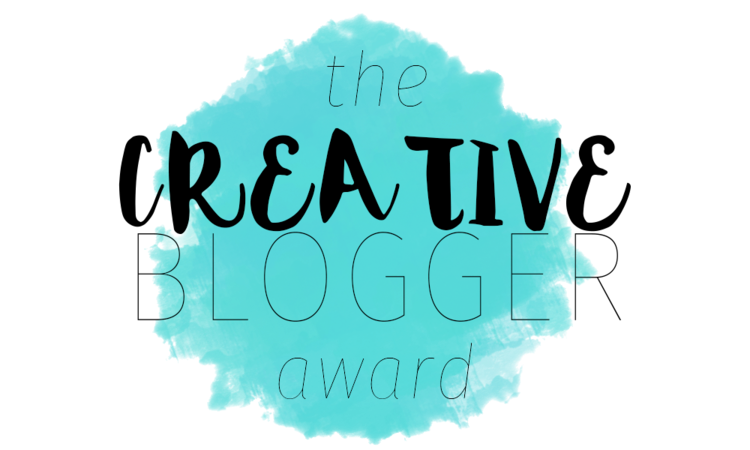 I know I just posted about the Liebster Award a few weeks ago, but I’m back with another blogger award! Krysten, who runs the blog krystenfos nominated me and I can’t thank her enough for thinking of me! She hasn’t been blogging very long, but she already has a ton of great content and I absolutely love reading her posts. I’d definitely recommend that you guys check her out and give her a follow if you haven’t already! 1. Even though I’m currently a stay-at-home mom, I do have a Bachelor’s degree in Psychology. I LOVE Psychology and I absolutely loved studying it. But I’m not sure if I’d ever pursue it professionally. Right now I’m just focusing on raising the kids and we’ll see how things go from there! But I’m proud of the fact that I have my degree. 2. I’ll give you guys a spooky fact about myself since it’s almost Halloween. When I was a kid, I was running over to the neighbor’s house to play when I felt something drop onto my cheek and crawl into my ear. It was a SPIDER. Yes, you read that right. I ran home crying and had to go to the emergency room to have it extracted. Needless to say…I hate spiders. 3. I never thought that I’d be lucky enough to have a son AND a daughter. I really thought I would end up having two sons since Jeremy is one of three boys. And then when I found out Shade was a girl (blew my mind) I thought I’d end up having two girls instead! I can’t tell you how happy I am to have one of each. I know it’s challenging for them because they are so different in how they play and communicate, but I absolutely love getting to see how different raising a son and a daughter can be. And I know they love each other! 4. I love anime. Yes, I’m a true geeky girl. I love anything with adorable and colorful characters. My husband’s favorite anime, on the other hand, is anything with an action storyline. So therein lies the marital strife! Just kidding. But we do try and find animes that fit both of our likes. 5. You might already know this if you’ve been reading my blog for a while, but I’m a HUGE fan of Alice in Wonderland. I love the books, movie(s), cartoon, and merchandise. I was obsessed with the Alice in Wonderland ride at Disneyland and I would LOVE to visit Disneyland Paris to see Alice’s Curious Labyrinth. Joie de Vivre and Cupcakes – I love Pia’s blog for SO many reasons. She blogs about fashion, beauty, photography, cooking, travelling…the list goes on! I just love her energy and passion for LIFE. this is how I mom – I admit that I’m a brand new follower of Christine’s blog. But I fell in love with it as soon as I came across it. Christine blogs about motherhood and life in a way that just screams honesty. I really love how I can relate to what she writes. And her son is completely adorable! empaycheeks – Tin’s blog is definitely one of my favorites to visit. She writes about parenting and always has the cutest pictures of her daughter to share. And I absolutely LOVE that she also shares family OOTD pictures. Such a cute idea! Weird & Wonderful Sophie – Sophie has such a lovely blog! She blogs about everything from fashion, beauty and reviews to general lifestyle things. I love her style and I really LOVE her pictures from her recent trip to Disneyland Paris. Her blog is definitely on my must-read list! So give these lovely ladies a follow if you’re looking for some amazing blogs to read! I promise you won’t be disappointed! Congrats girl!!! 🙂 Reading about that spider made me immediately think something was crawling on me!! Ahhh! Hate spiders!! !